Designed especially for initiation of flexible linear shaped charges Semtex® RAZOR. This booster charge can also be used for initiation of other explosives, e.g. 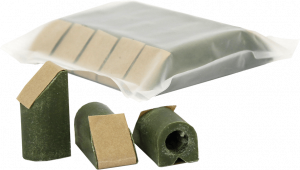 sheet charges Semtex® P1 SE M. The charge is, through its construction, adapted to boost initiation capacity of standard detonator.